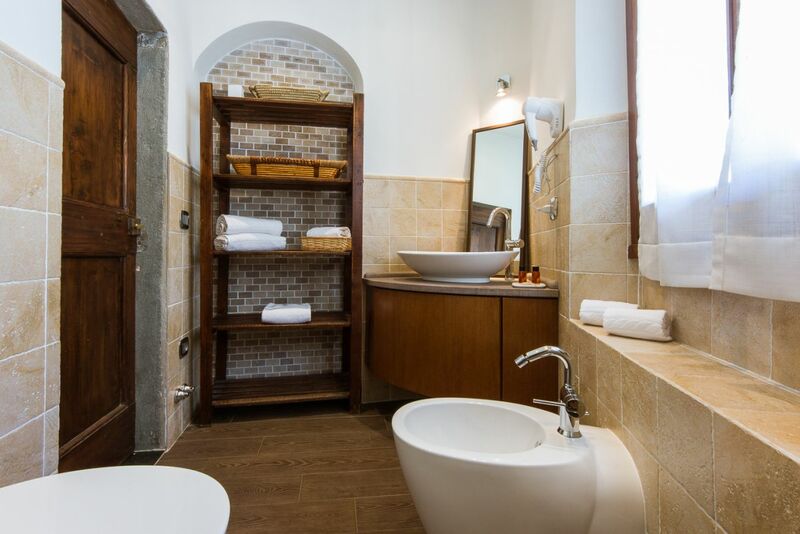 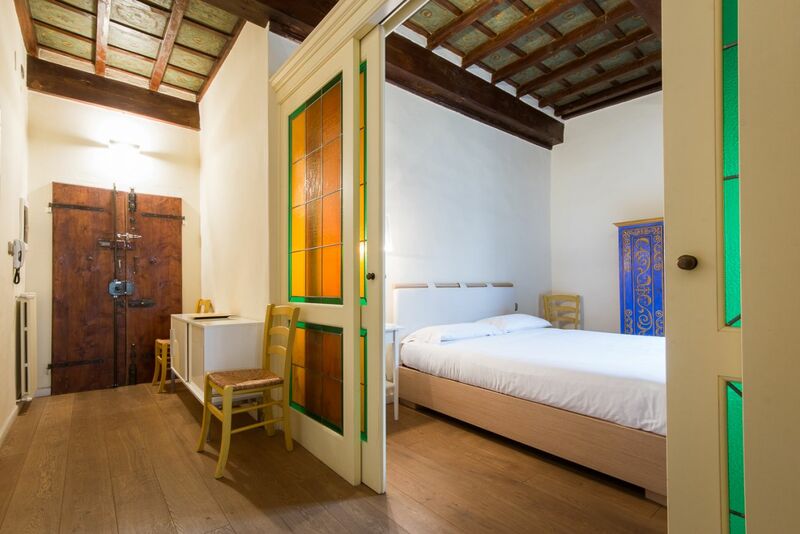 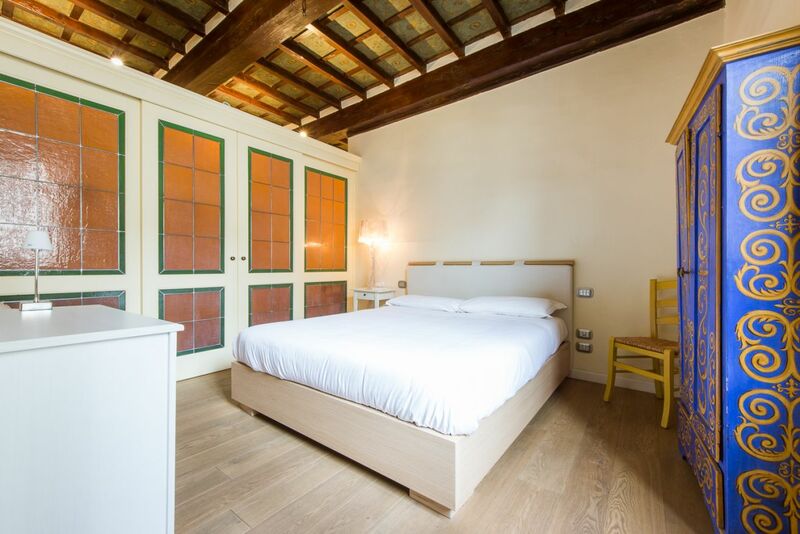 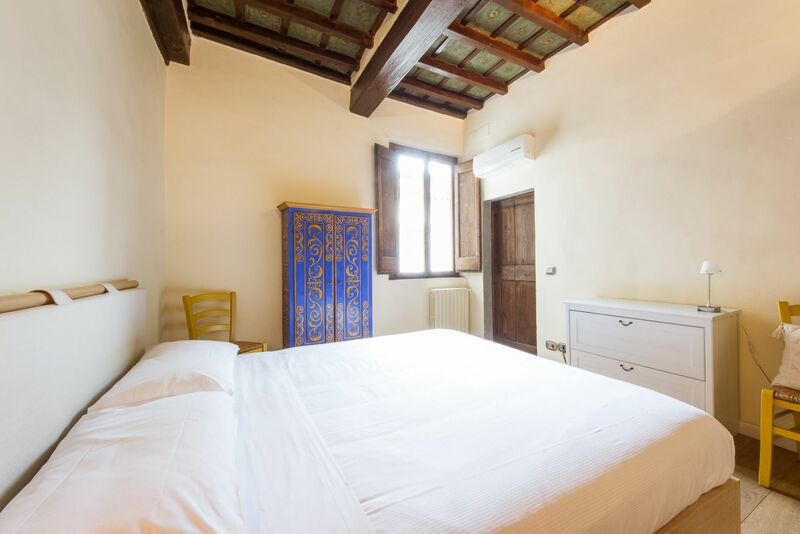 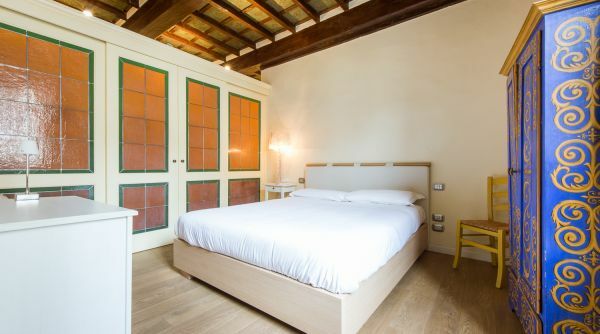 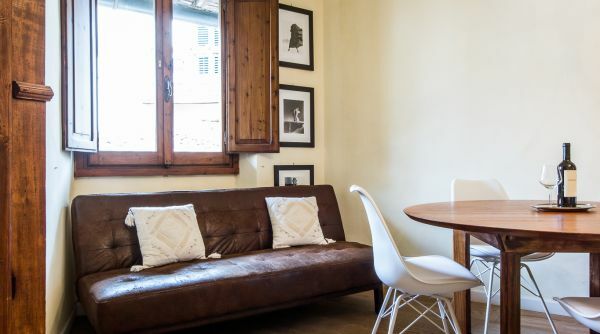 This lovely, romantic and comfortable property in the heart of Florence's luxury fashion district could be the perfect nest for a couple who wishes to explore all the different areas of the city. 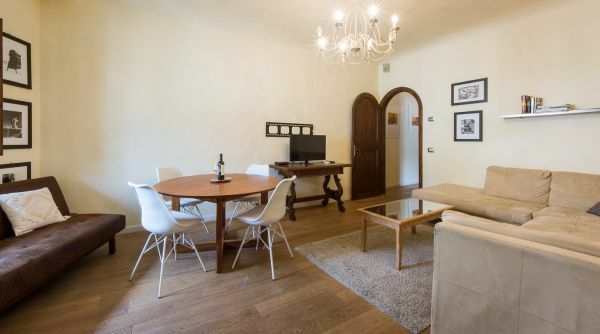 Well furnished with great attention to every detail, this apartment was recently renovated according to the Florentine tradition: exposed wooden beams and classic Tuscan moldings, together with wonderful parquet floors, donate a warm and inviting atmosphere to the whole apartment. The large kitchen area is fully equipped with all you need to cook your own meals, and the open, comfortable living room offers great space for relaxation. 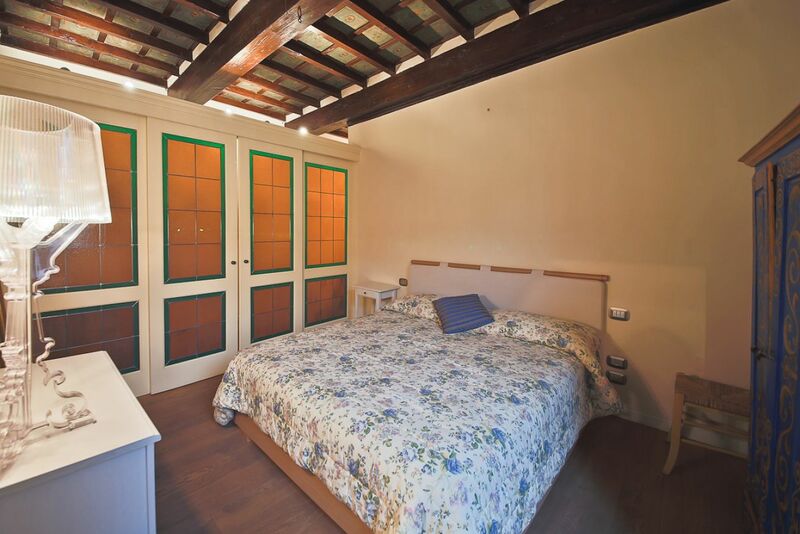 The quiet bedroom with queen-size bed is spacious and filled with natural light. 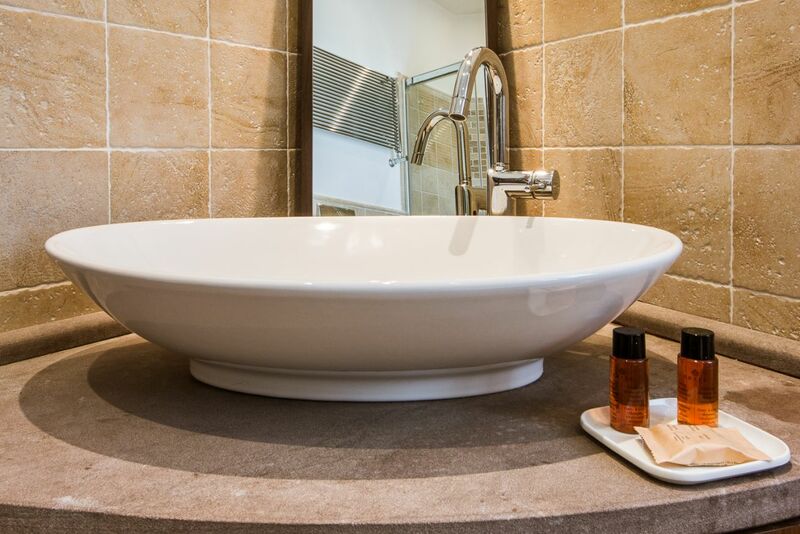 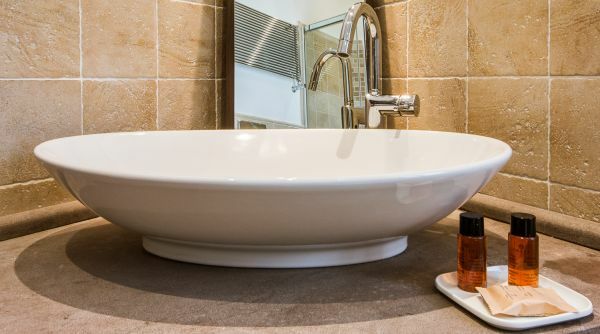 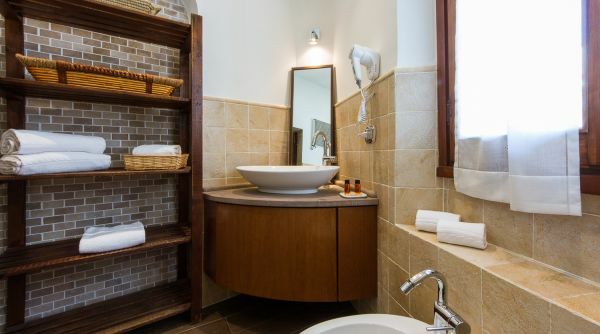 A beautiful bathroom completes the picture for the perfect apartment for a couple's getaway. 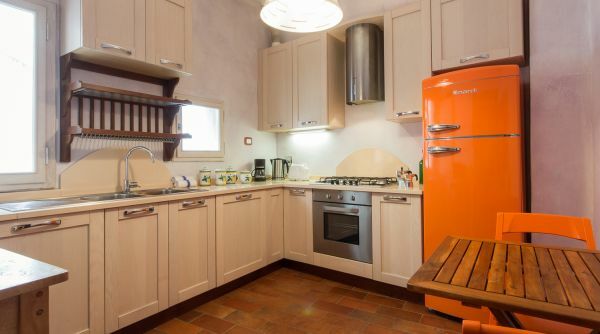 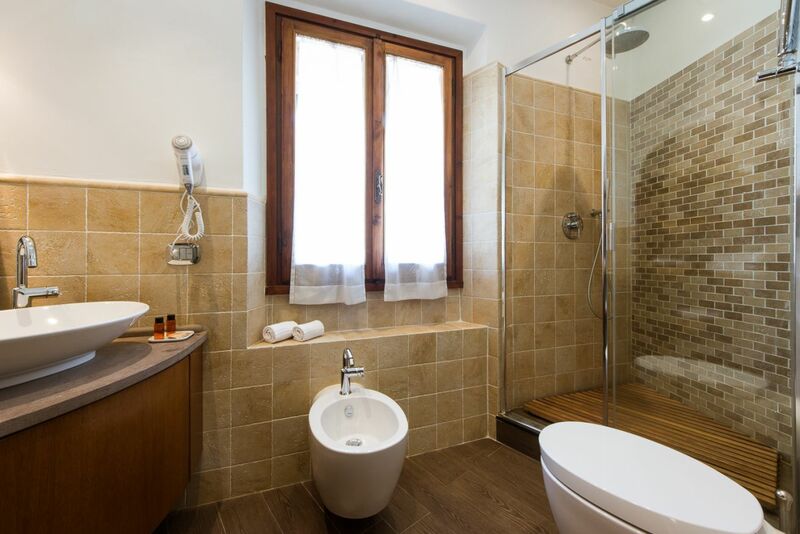 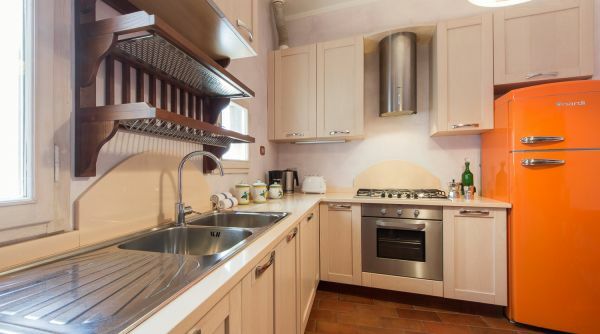 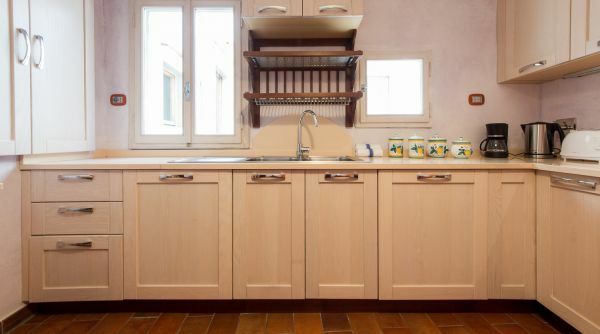 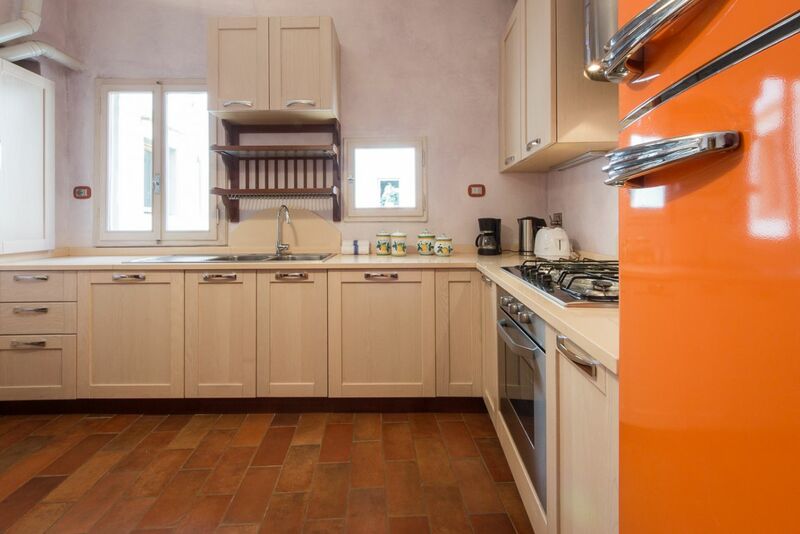 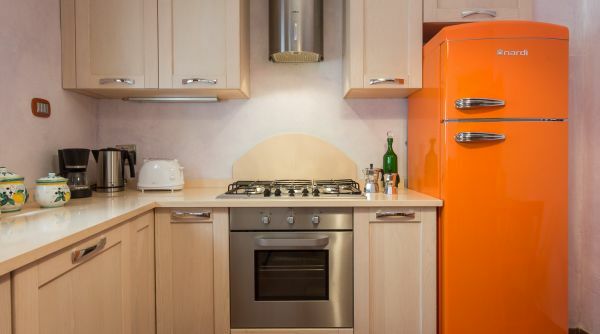 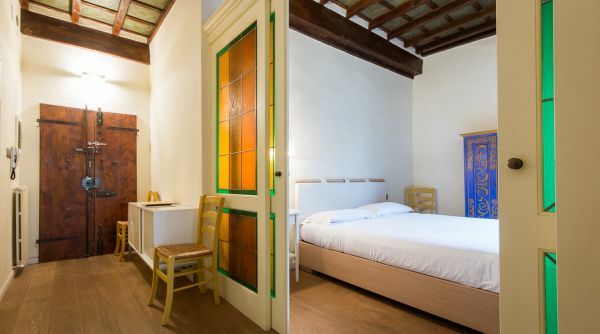 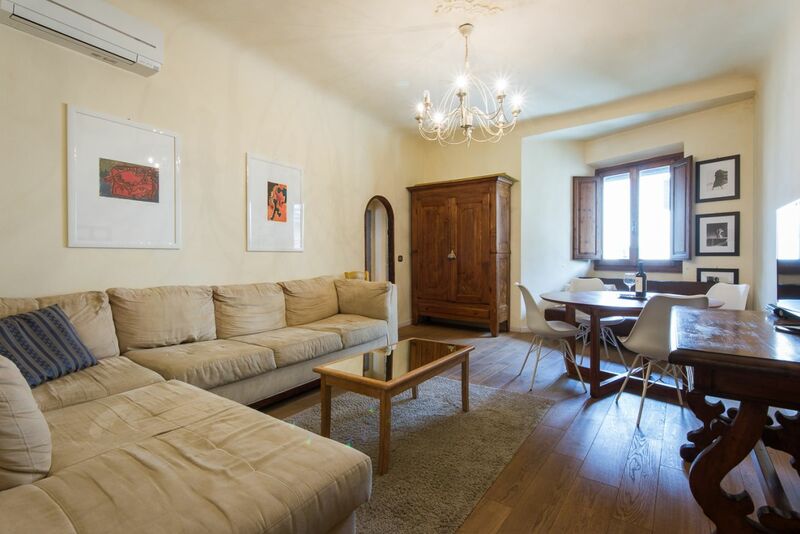 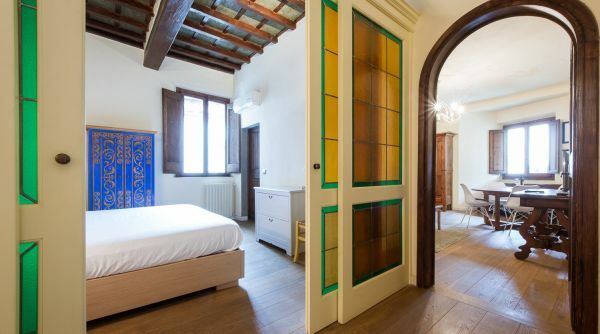 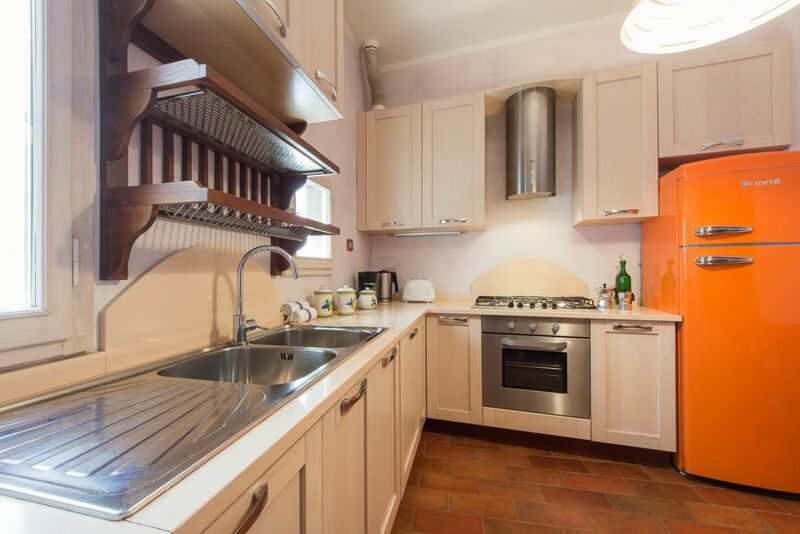 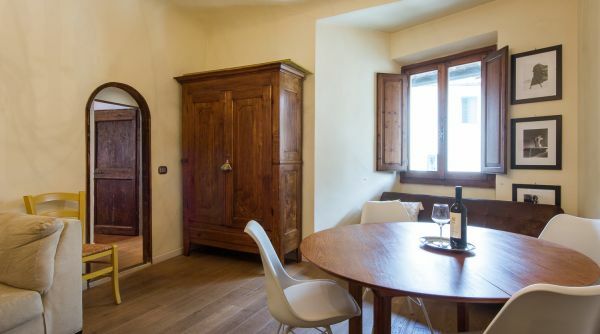 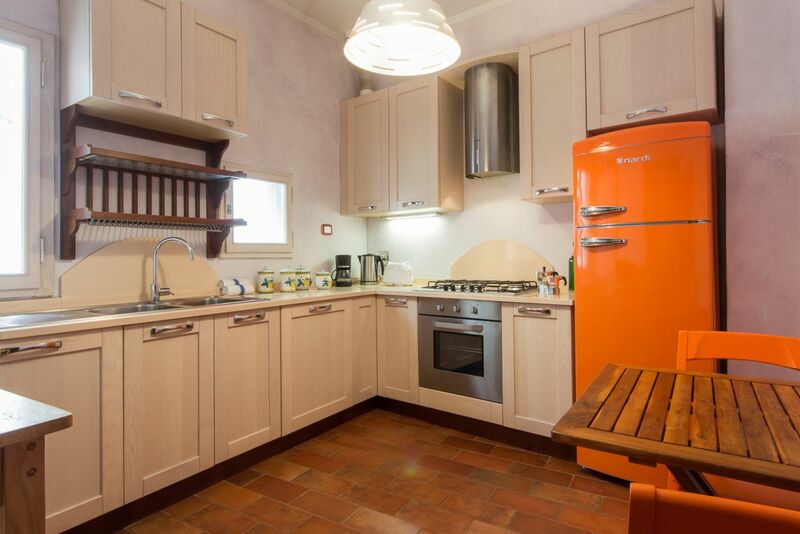 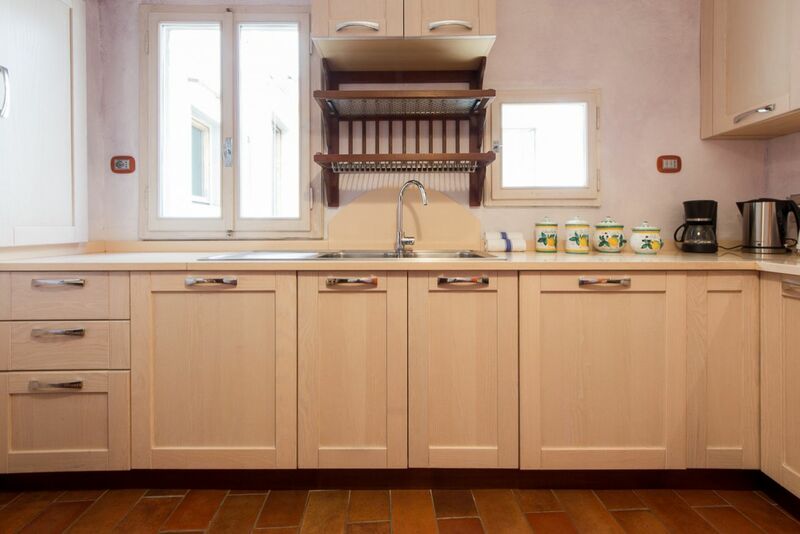 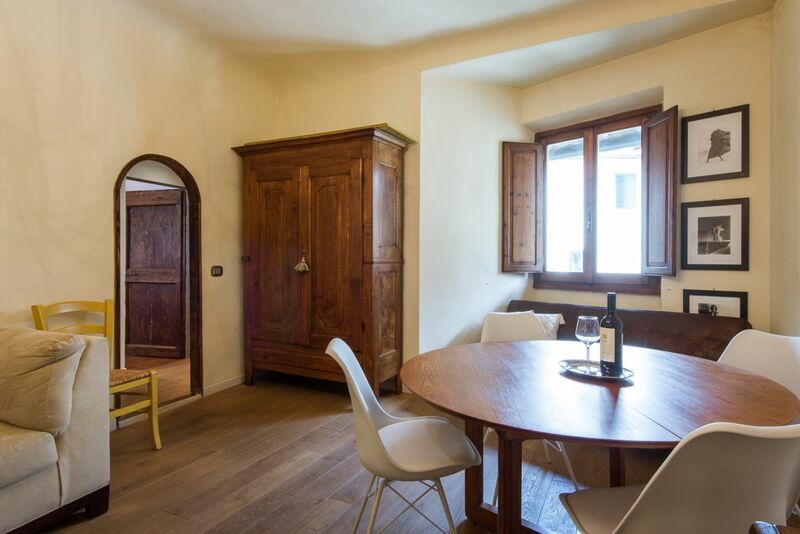 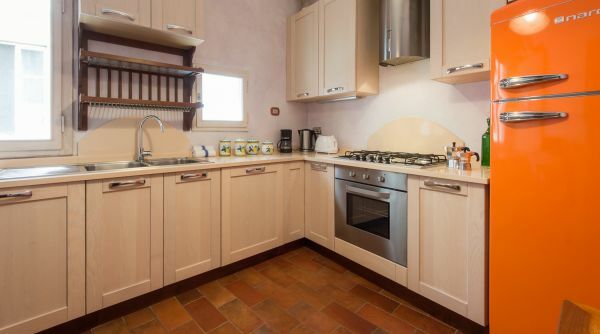 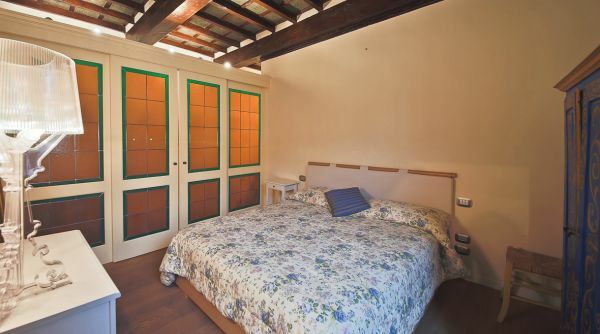 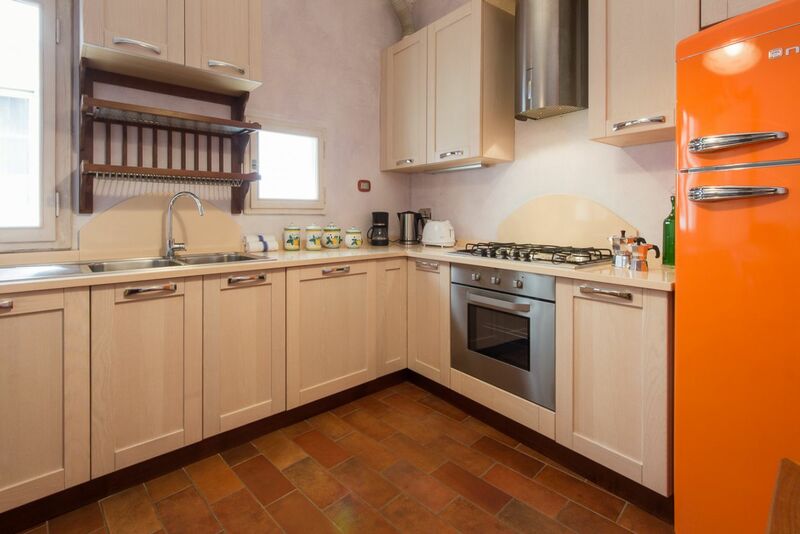 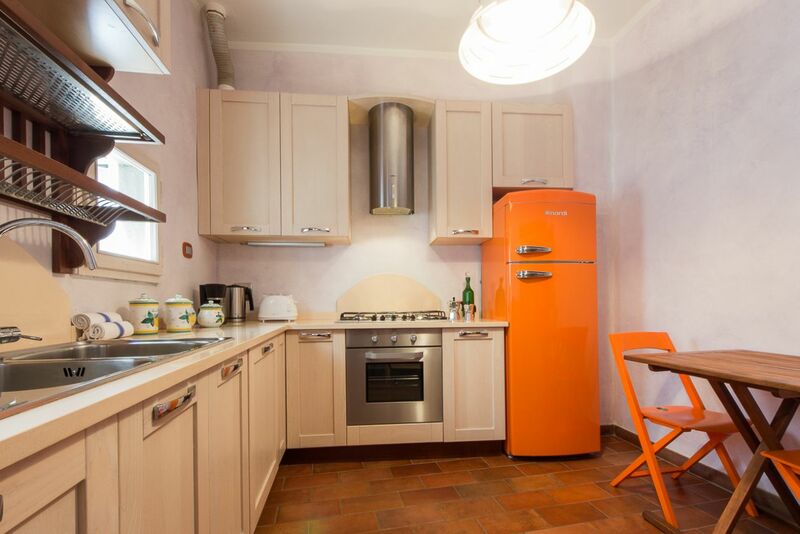 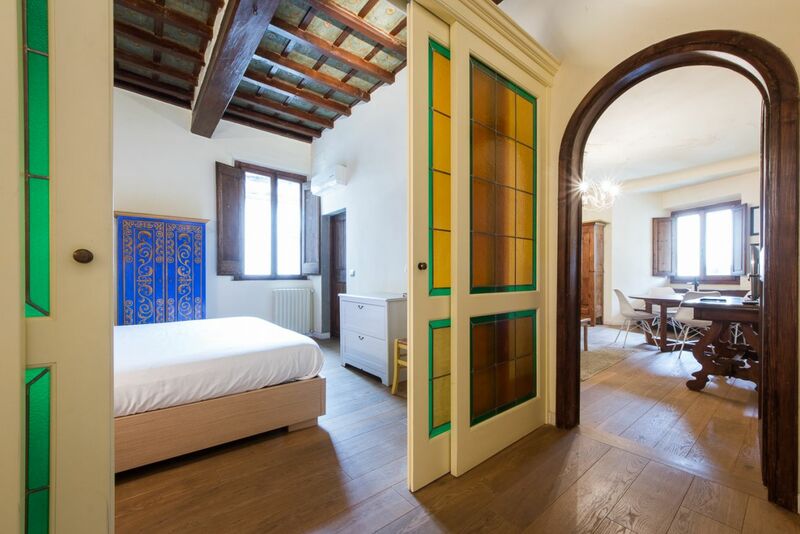 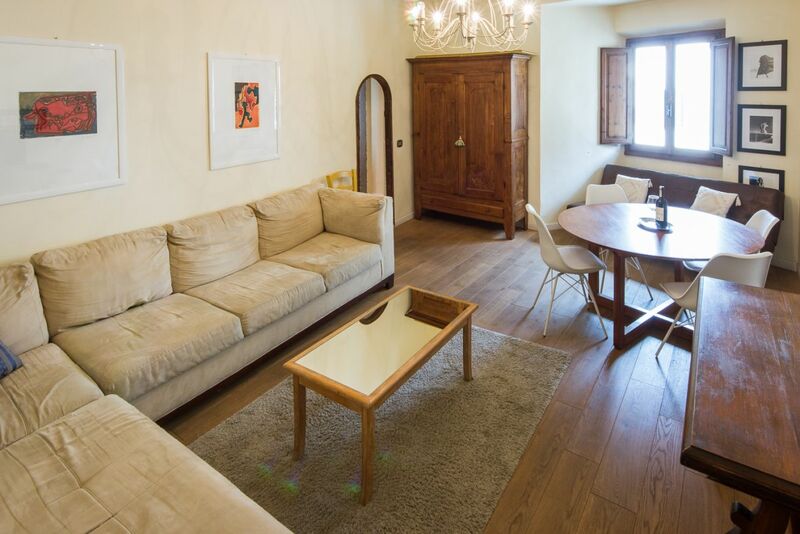 This one bedroom apartment is located in Via della Spada, a wonderful old Florentine street. 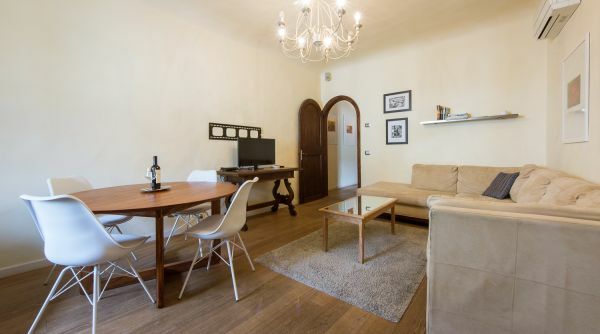 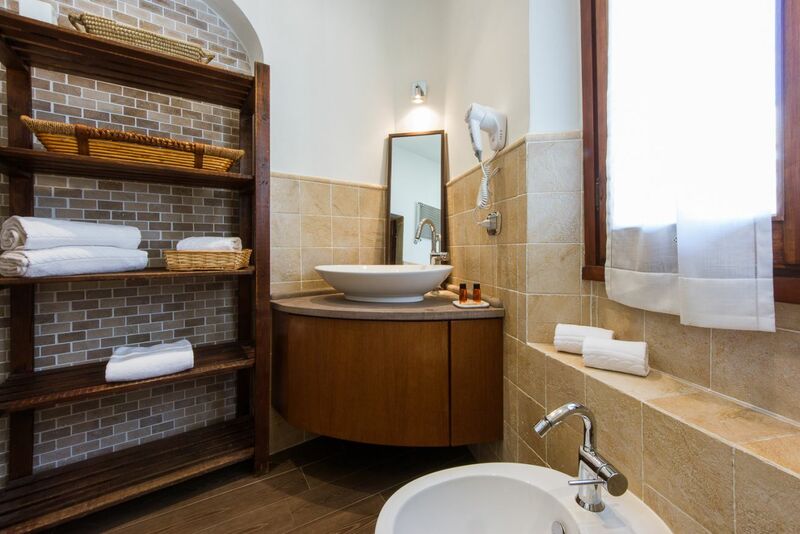 Just a few steps away from the Duomo, Piazza della Repubblica and Santa Maria Novella, the apartment is central to all of the city’s most renowned landmarks and attractions. 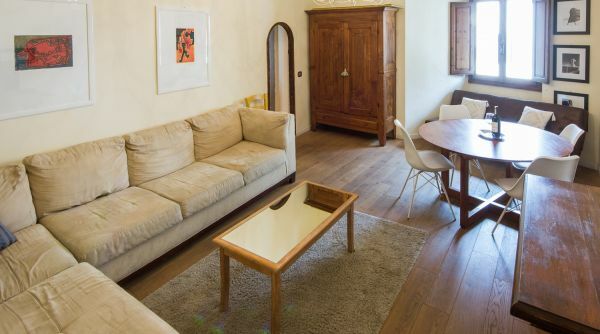 This stylish neighborhood is lined with elegant buildings, charming cafes and, most notably, the luxury designer shopping boutiques of Via Tornabuoni. 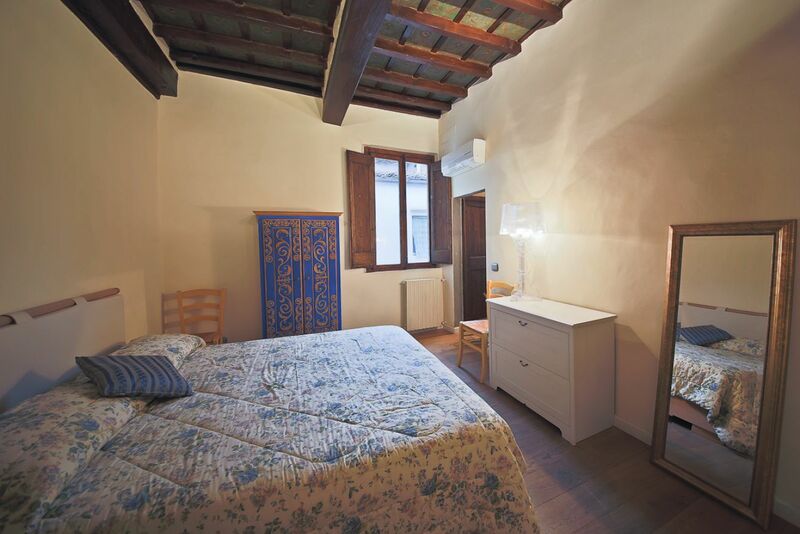 A perfect starting off point for exploring all that the city has to offer. 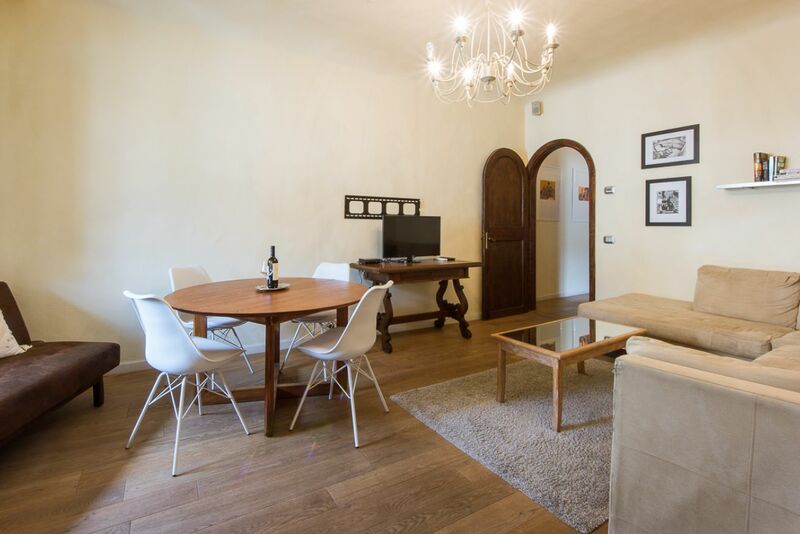 This delightful apartment is a perfect choice for those who wish to be in the middle of all the magic of Florence, while still enjoying a peaceful and quiet environment. 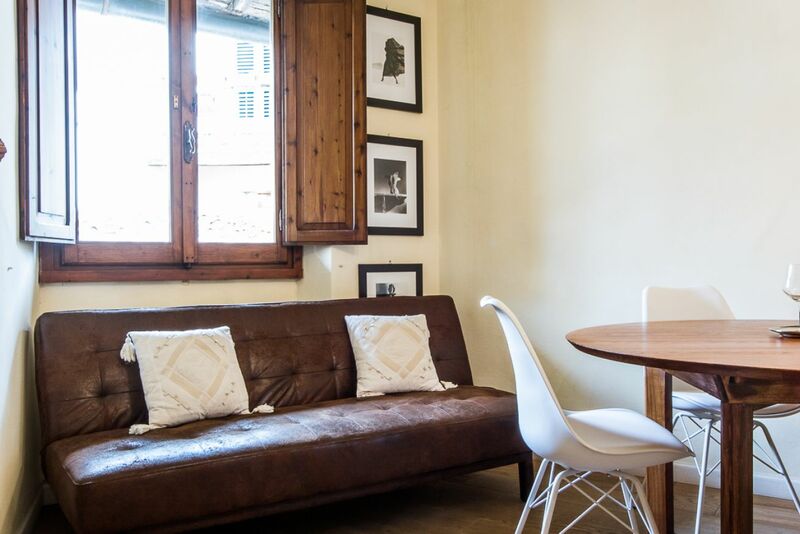 The property is managed directly by Apartments Florence's qualified staff, to guarantee you the highest quality of service and assistance during your stay in Florence. 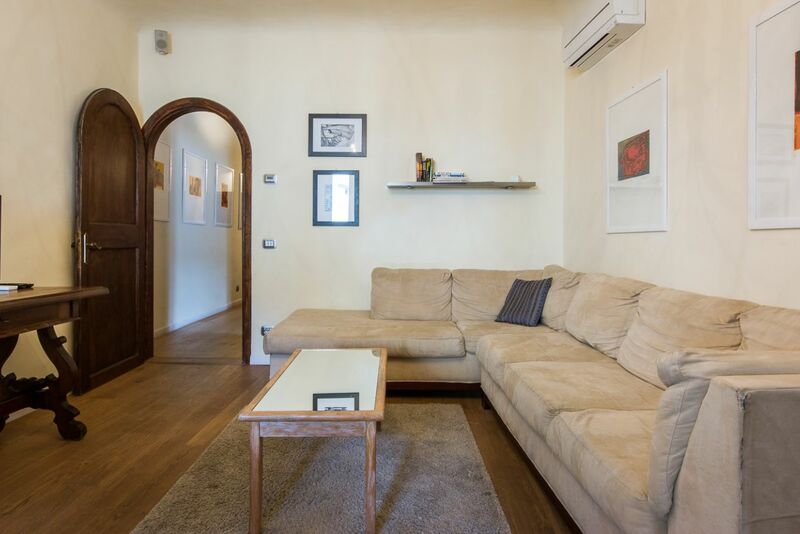 This is a lovely apartment that is an easy walk from the train station (about 5-7 min). 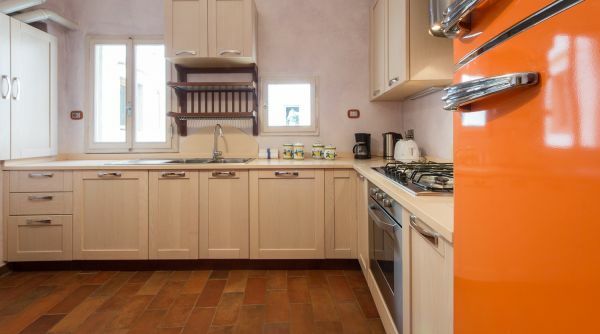 It is on the 3rd floor (European), so there are a lot of stairs to climb. 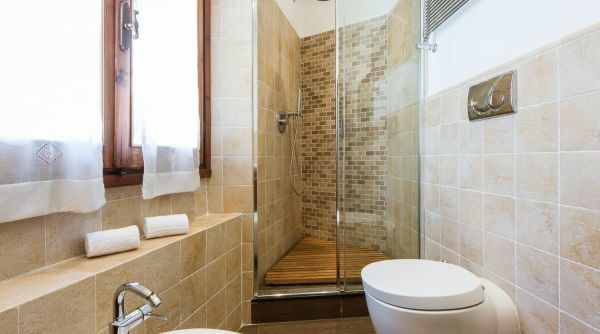 I do not recommend it if you have any issues climbing a lot of stairs, and the last set of stairs are tough after walking around town all day, unless perhaps you are very fit. 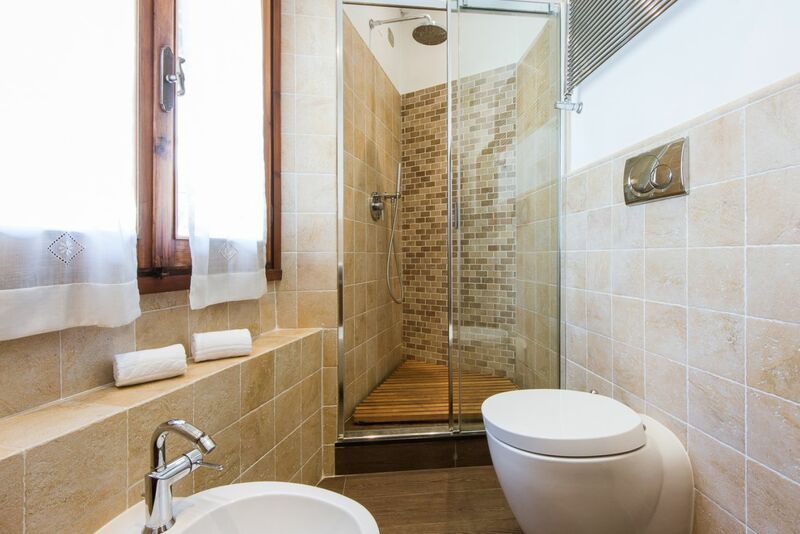 The apartment is spacious for two people, and the bathroom has been renovated well. 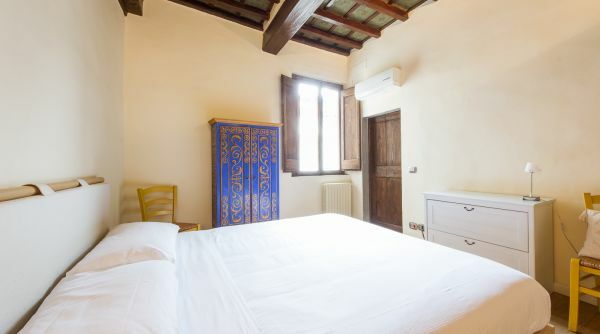 Having the air conditioning in the bedroom and living room helped a lot. 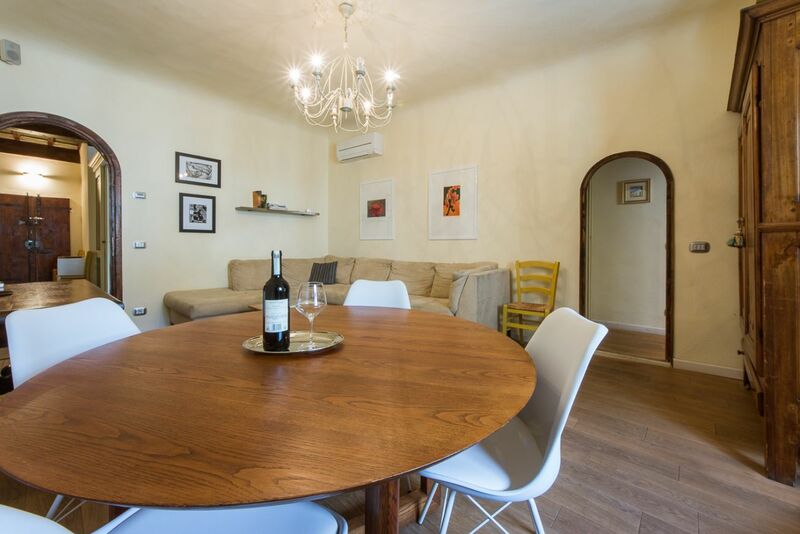 There was complimentary wine on arrival which was a very nice added touch. 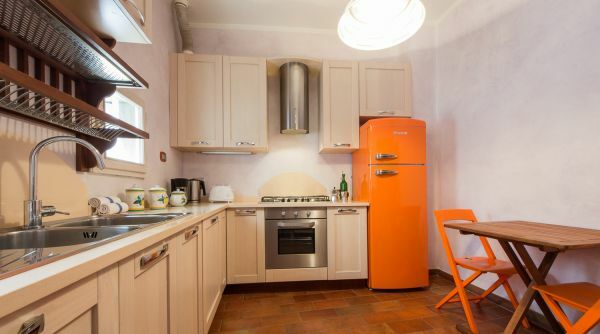 There were some general aesthetic issues that did not deter from our stay - e.g. 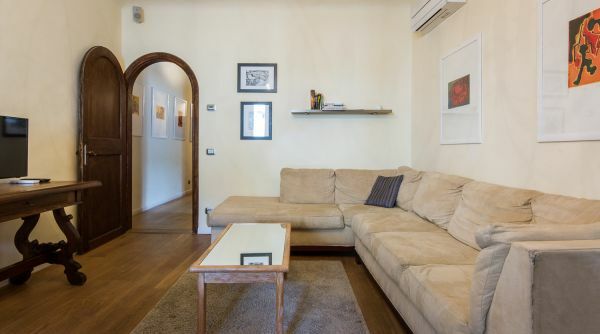 there were stains in the ceiling that I suspect was caused by a previous leak, which did not occur during our stay, and the sofa could have used a deeper cleaning (it was white cloth so light stains are visible). 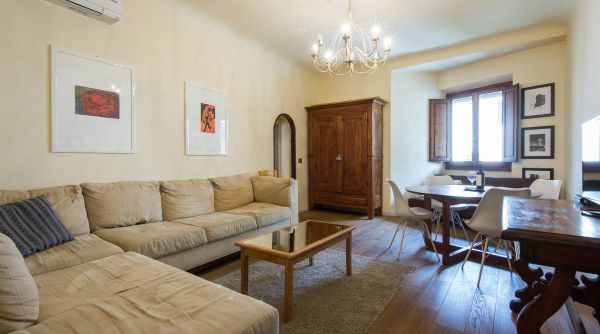 Overall, we had a nice, comfortable stay in the apartment. 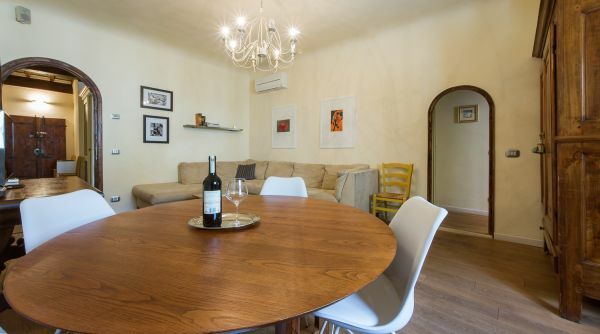 Though we waited a while to get checked in (it was during high season), Francesco was very helpful in explaining everything in the apartment and recommending places to eat (Pandemonio was the best meal we had on our trip). 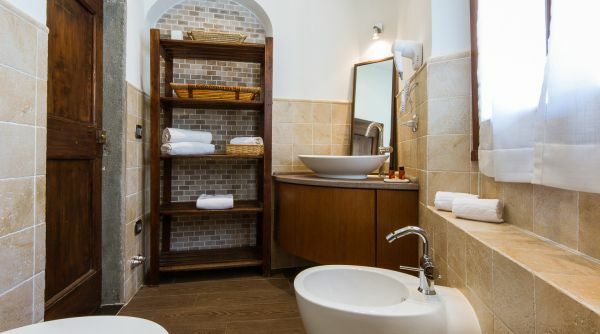 He also helped carry my luggage up the stairs. 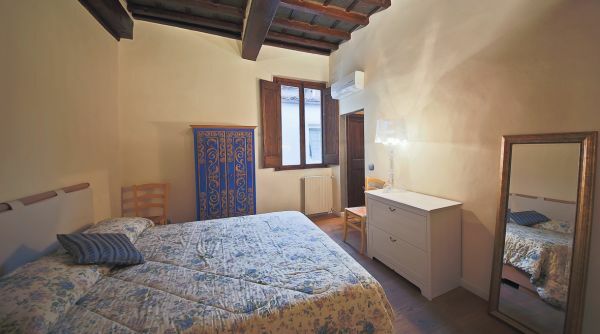 We were able to walk to all the major sites that we wanted to see in Florence, and there are stores right on the same street where you can buy basic groceries (milk, eggs, etc); the closest supermarket with a wider selection is near the train station. 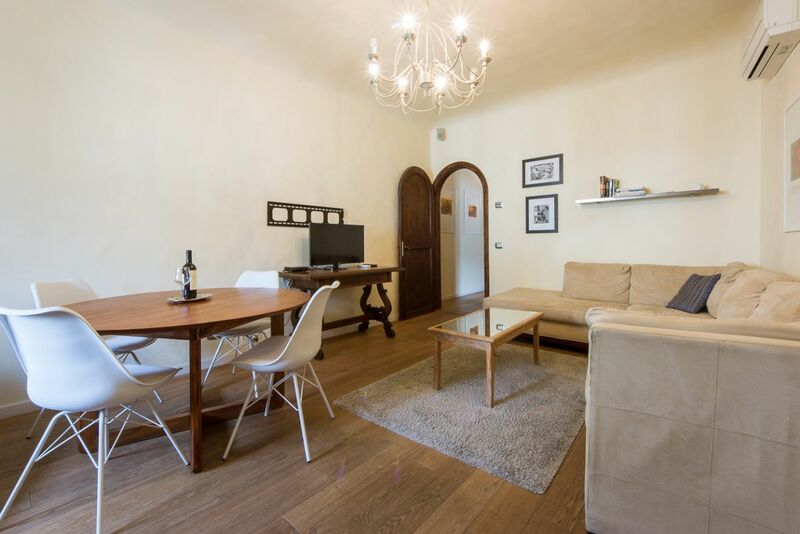 I would recommend this apartment and the agency.